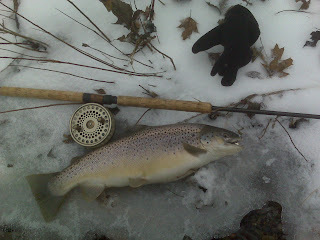 Prior to our last feeze up I caught this fine Lake Erie Brown. Glad to have you on board! It's nice to have another blog to frequent and see how things are shaping up on the Southern Shores of Erie. Keep it up...I'm certain you will get great satisfaction from your efforts and the ability to go back and revisit your travels. Where will the fish be?